An explosion in card use is sending Britain towards a cashless economy. Yet, around three million small businesses across Britain still don’t offer card payment solutions. Card payment machines and the idea of moving towards cashless facilities are viewed as essential to business survival in this day and age. 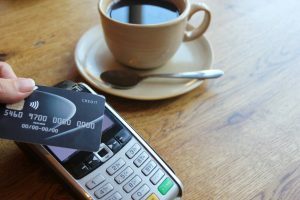 The perception of expense around the set up and running of card machines seems to be the reason behind small businesses staying away from alternative methods of payment. However, last year for the first time, over half of all UK purchases were made by card and these astounding figures show that in order to succeed businesses must offer these alternative methods of payment. Bosh McKeown, the CEO and co-founder of independent London-based coffee chain The Attendant has seen the vast shift in payment methods and as a result has transitioned to a cashless operation across his four central London sites. With figures rising year upon year now is the time for small businesses to stay ahead of the game. Here at Cutpay we pride ourselves on offering an affordable transition into the world of Merchant Services. The speed, ease and security of digital payments are beneficial for everybody and our advice to small businesses is not around committing to going cashless but simply offering as many methods of payment as possible to make life easier for your customers.